For most golfers, the official start of the golf season begins the week of The Masters, which is always the second full weekend in April. 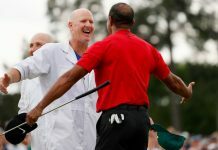 If you haven’t done so already, it’s also time to start booking your calendar with some competitive golf tournaments, usually played on manicured fairways and greens at a private club. 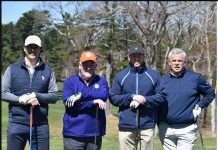 As a member of the New England Golf Association (NEGA), all Mass Golfers are eligible to compete in the following events: New England Amateur Championship and New England Senior Amateur Championship. Both events feature high-level competition (only member golfers from the six New England States – Connecticut, Maine, Massachusetts, New Hampshire, Rhode Island, and Vermont – are eligible to compete), and local qualifying was introduced last season which has allowed even more competitors to take part in these events. Listed below are fast facts about the 2018 championships. For more information visit NEGAGolf.org. The 89th New England Amateur Championship will be hosted at Portland Country Club in Portland, Maine on July 17-19, 2018. A local qualifying round will be in Massachusetts – at Blackstone National GC – on June 25. This historic 72-hole championship event has crowned winners including Matt Parziale, Brad Faxon, James Driscoll, JJ Henry, Ted Bishop, Fran Quinn and Billy Andrade. Each qualifying site will be capped at 84 players and are available on a first-come, first-serve basis. Players may register for only one qualifier but may choose any available site regardless of the host state or location. Entry fee for exempt players is $250. Qualifying participants will be charged $125 at the time of registration and then an additional $150 if they successfully advance. Players may use a cart (included in the fee) during the qualifying round. The 21st playing of the New England Senior Amateur Championship will be held at Burlington Country Club in Burlington, VT on September 18-19, 2018. A local qualifying round will be in Massachusetts – at Segregansett CC – on August 22. Eligibility requirements include having an active handicap index of 12 or less and players must be at least 55 years old. The 36-hole championship proper features both an overall senior division as well as a super senior division (65+). Each qualifying site will be capped at 84 players, and spots are available on a first-come, first-serve basis. Players may register for only one qualifier, but they may choose any available site regardless of the host state or location. The entry fee for exempt players is $250. Qualifying participants will be charged $125 and then an additional $150 if they successfully advance. Players may ride in a cart (included in the fee) during both the qualifying round and the championship proper. For information and to register for a championship or qualifier, please visit NEGAGolf.org. Questions should be directed to Laura Nochta, Manager of NEGA Operations and USGA qualifying, via email or her direct line: 774-430-9016. 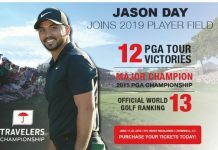 Previous article2018 MASTERS GOLF BETTING ODDS: EVERYTHING YOU NEED TO KNOW TO PICK THE WINNER!